Space is guaranteed at Bloomfield as we only have 4 pitches on 7 lush acres of land. We currently have 4 pitches on our 7 Acre site here at Bloomfield. Each pitch is vast and each of them has one of our spacious Yurts, a kitchen, covered eating area and firepit. Each yurt sits on a sturdy wooden deck and inside there is a king size bed, two very solid single futons and storage unit. Also for the beginning of the 2019 season woodburners have been installed in to all 4 yurts. The kitchen unit has everything you could possibly need from items such as crockery, cutlery and kettle to pots and pans. There is also an oven with a gas hob and grill. To complete the kitchen we have provided a coolbox and ice blocks. Attached to the kitchen is a canopy which covers a picnic bench seating area. The canopy makes this an all weather option and is lit at night by solar powered lighting. Finally each pitch has its very own firepit and cooking frame. Here you have the option of either using the firepit for campfire cooking or as a magical evening campfire…..don’t forget the marshmallows! 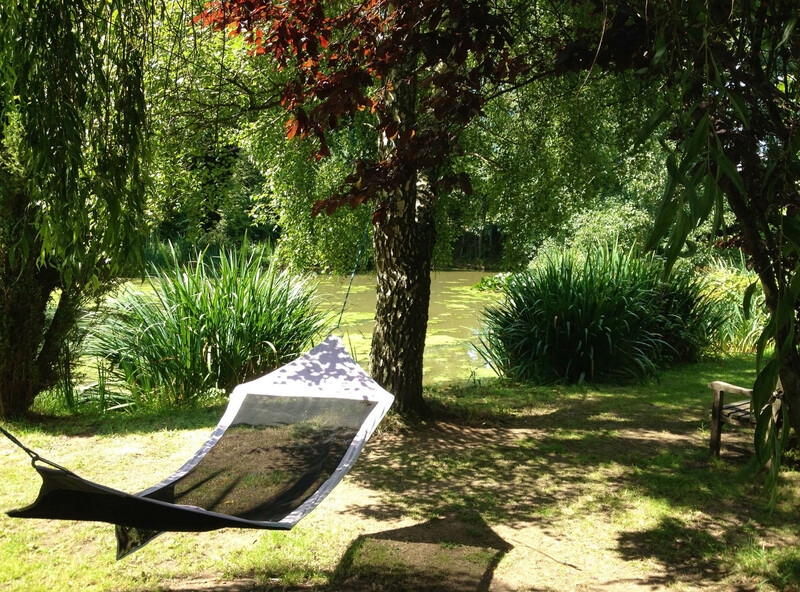 There are many seats and hammocks dotted around the site for you to take advantage. ….just sit back and relax!! !